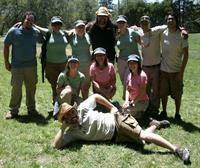 SOAR provides a variety of adventure programs from one-day events to week-long programs indoors and out. Your team is challenged to accomplish tasks through creative problem-solving, trust building, effective communication and most importantly, teamwork. 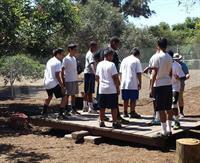 The High Ropes Course Activities are ''Challenge By Choice'' and managed by highly trained and skilled facilitators. Each program is custom designed. 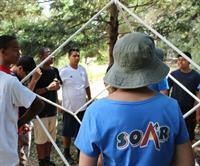 SOAR facilitators have hundreds of activities to choose from to meet the needs of the group. We partner with multiple sites in the Big Bear Valley as well as nationwide.